There is a certain purity about late summer. If we are going to get a dry spell in southern Victoria, it will be during late February and early March. That has certainly been the case this year with some parts of the country recording seven weeks or more without rain. Paddocks bleach under these conditions as the grasses, thirsty plants, shut down in protest. The colours of evergreens become more intense. The shelter belts of cypress or pine, the blackwood copses on the steep sides of gullies: the dark green leaves seem to turn black in contrast to the parched pasture. We hope the Autumn break will come soon. Farmers will tell you that if we don’t get a decent downpour or two by ANZAC Day, we will be in trouble, as the temperature of the soil will have cooled and the amount of growth that we would normally expect will not be forthcoming. For late March to early May here is like a little spring. The earth becomes green again and, as well as the Autumn foliage, the garden is in full bloom: late roses, salvias, chrysanthemums, the bolder natives and many bulbs. At the turning of the seasons, it is probably appropriate to talk about changing directions. As you will notice, I am returning to an old webpage, a blog that I have been writing off and on for the past three and a half years as the Town and Country Gardener. I decided to come out from behind this persona and to launch my new business, Matthew Henry Gardens. And with the demise of Mechanism Landscape Design, I will be continuing to work with many of our existing clients, as Emma goes on to pursue her other interests and to bring up her wonderful children. I wish her all the best. 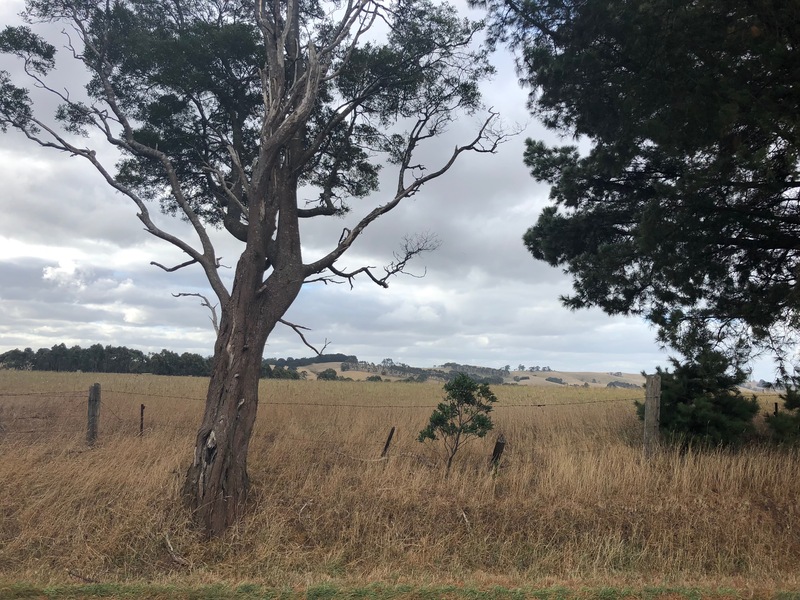 When the break comes, the rain seems to reveal something that was always there: the germinating seeds, the reshooting of tufts of pasture grass, the mushrooms in wide paddocks. Even though we know it will soon be winter and the growth will slow right down soon enough, we luxuriate in the growth that the change brings.